It’s well known that the teenage years can be challenging for all involved! The family holiday can be the perfect opportunity to cultivate the parent teen relationship and create some great bonding moments and life long memories. For adventurous and outgoing teens, an activity holiday with adrenalin rich activities where they can let off steam and do something ‘awesome’ to tell their mates about, is ideal. For parents, it’s a fun way to spend time with teens and grab their attention. They’ll see mum in a different light once she’s walked the wire bridge over a 100m ravine - even if her knees were wobbling! 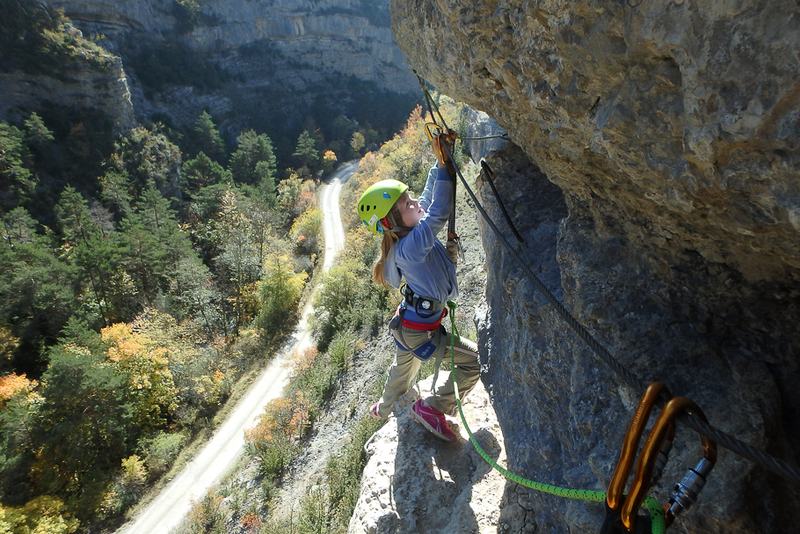 Here are our top three adrenalin activities for teenage families. Accessible and safe for all but with enough perceived danger to get the adrenalin flowing and bring everyone closer together! 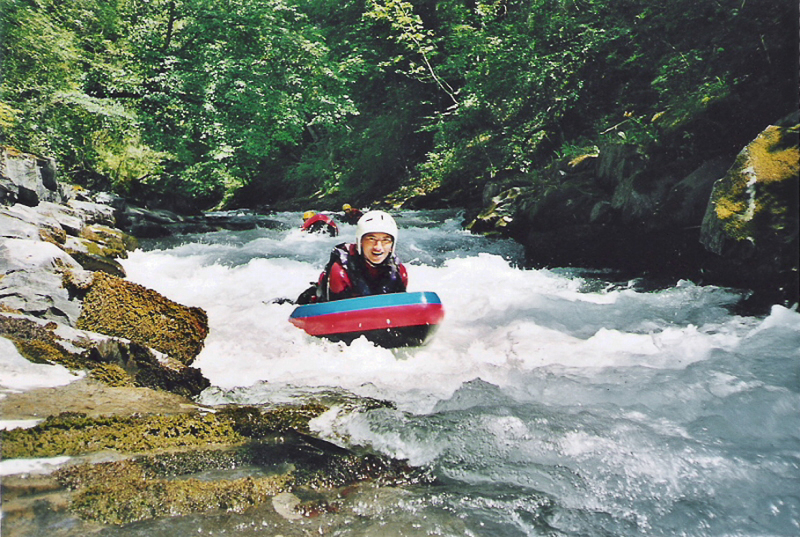 Our activity holidays for families are all suitable for teenagers. 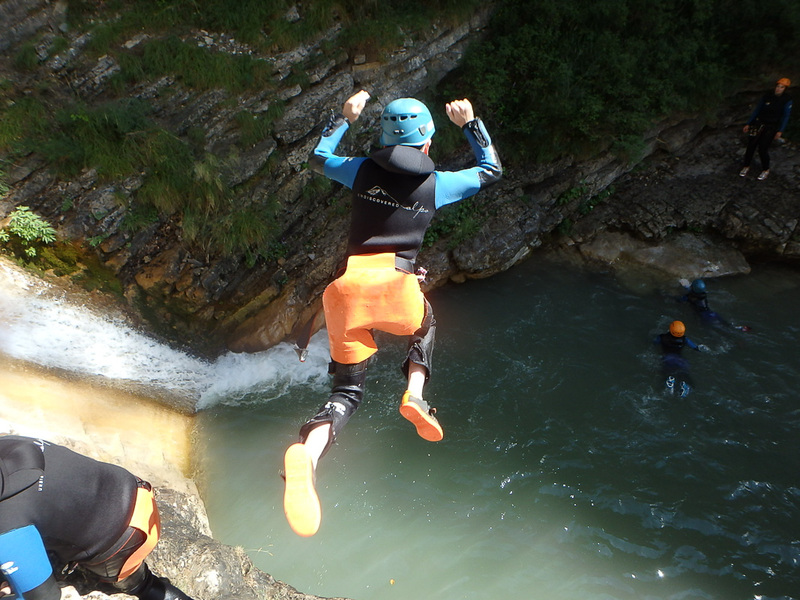 Abseil down waterfalls, jump into pools of clear, alpine water and slide down natural rock toboggans - an exhilarating journey negotiating the best and most fun route down a mountain canyon. What better way to spend a hot summer’s day! There are opportunities for teens to show off their adventurous spirit by turning their jumps into summersaults and going head first down a slide whilst parents can join in at their level, and prove that they are not too old to have fun! Hydrospeed is also known as river-boarding and is in effect surfing on white water rapids down an alpine river. You use a specially adapted foam board and flippers, hold on and surf your way down. It's excellent fun and if you want to get close to the rapids and enjoy their roller coaster ride in full this is the way to do it! The ultimate challenge for those with a head for heights! Via Ferratas were invented by the Italian army to negotiate the inaccessible mountain ranges of the Alps and have now become a sport in their own right. By strategically positioning metal ladders, holds and safety wires on seemingly inaccessible vertical cliff faces and installing wire bridges over ravines and narrow gorges, these dramatic geological formations become accessible to all! For a bit of added excitement, some even incorporate giant tyrolean zip wires as a way to get back down from the top! The perfect opportunity for all members of the family to challenge their fear of heights with the support of their nearest and dearest. If you would like to try any of these activities, make sure you book with a company using fully qualified and experienced guides to ensure your safety comes first. The above activities all have an element of real danger and risk, but when they are properly led and managed these risks are minimized, making it possible to feel the adrenalin without the consequences!